Showing results by author "R. L. Stine"
Two pink flamingos. A whole family of plaster skunks. Joe Burton's dad loves those tacky lawn ornaments. But then he brings home two ugly lawn gnomes. And that's when the trouble starts. Late at night, when everyone's asleep, someone's creeping in the garden. Whispering nasty things. Smashing melons. Squashing tomatoes. No way two dumb, old lawn ornaments could be causing all the trouble. Is there? Britney Crosby thinks her cousin Ethan is pretty weird - and she happens to be right. Ethan won't stop tormenting Britney with an old ventriloquist's dummy. And the puppet has plans for Britney, too! 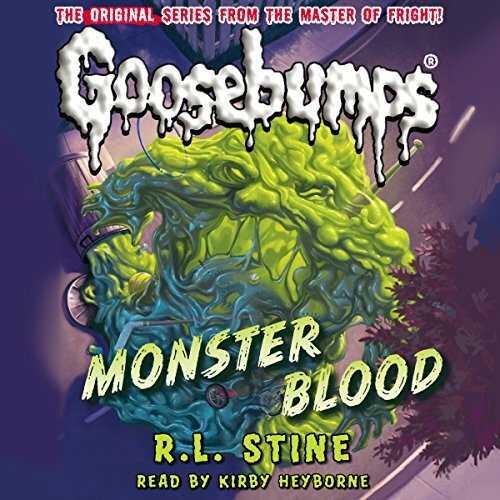 This audio book brought me in to Goosebumps. 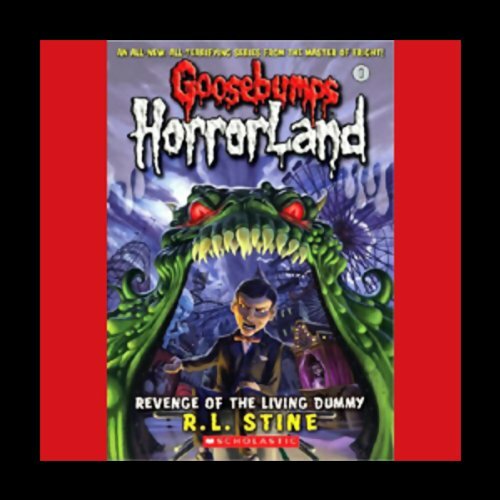 Something scary is happening in GOOSEBUMPS HORRORLAND, the all-new, all-terrifying series by R. L. Stine. Just how scary? You'll never know unless you crack open this classic prequel! Discover the fan-favorite thriller and chiller that first introduced the world to the wooden face of fear. The puppet who pulls all the strings. None other than Slappy the Dummy! 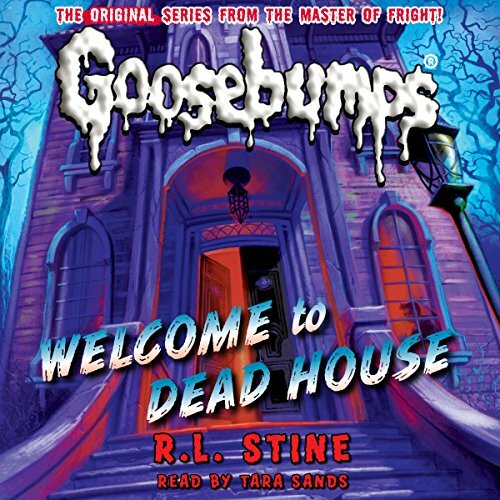 Eleven-year-old Josh and 12-year-old Amanda just moved into the oldest and weirdest house on the block - the two siblings think it might even be haunted! But of course their parents don't believe them. You'll get used to it, they say. Go out and make some new friends. But the creepy kids are not like anyone Josh and Amanda have ever met before. And when they take a shortcut through the cemetery one night, Josh and Amanda learn why. 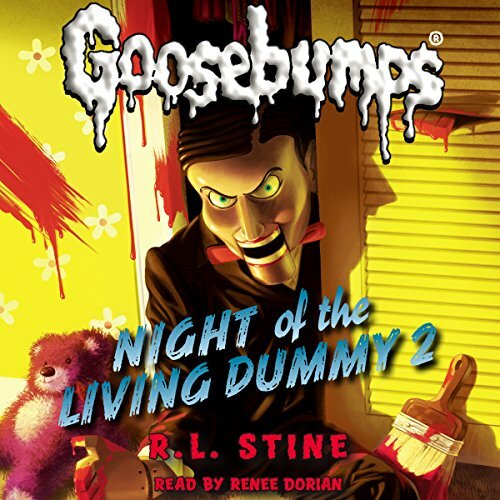 A brand-new Goosebumps arc narrated by the most iconic and evil character of the series, Slappy! 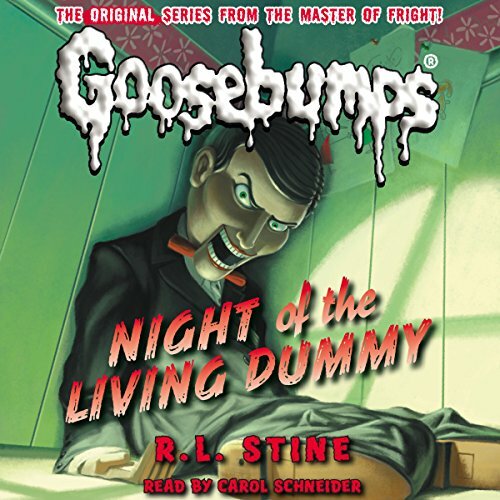 The evil dummy comes to life to tell his own twisted tales and scary stories. 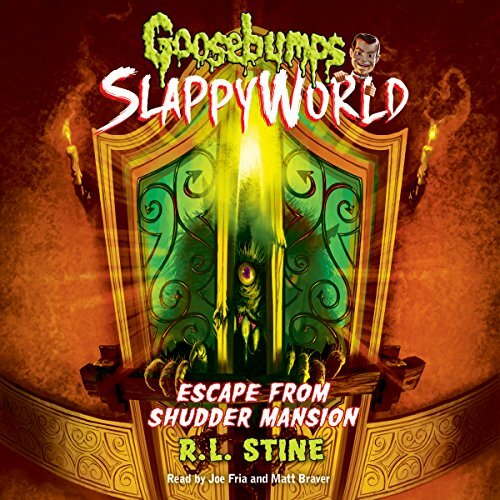 "Welcome to SlappyWorld," he announces. "I want to tell you one of my favorite stories. Of course, it's a horror story! I think you'll agree it's a SCREAM!" 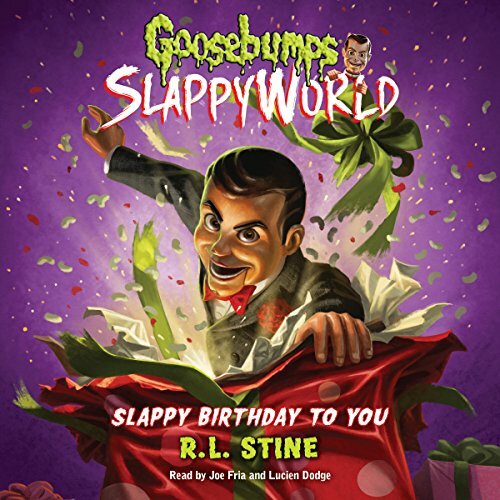 Slappy welcomes the listener to his world and introduces every novel in his own hilarious, menacing style. 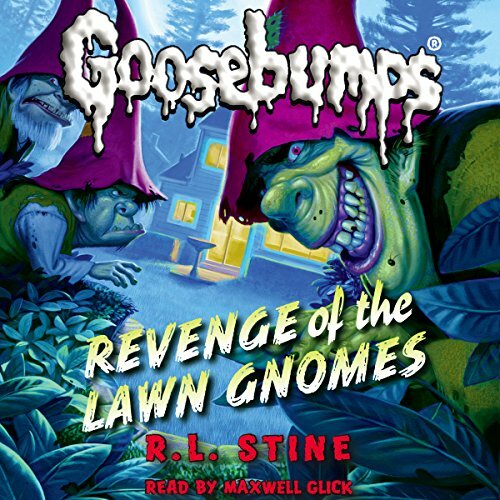 A brand-new Goosebumps arc narrated by the most iconic and evil character of the series, Slappy! It can't be true! 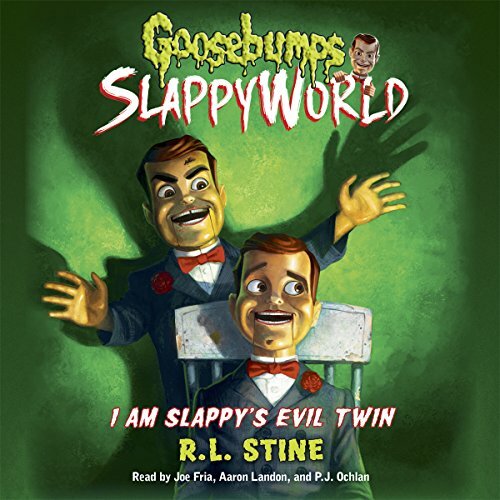 An identical twin dummy as evil as Slappy? Gavin thinks he has the original dummy. But he doesn't have Slappy - he has Snappy. And once Snappy comes to life, he will do anything to destroy his twin brother. Livvy and Jayden are the stars of their school's robotics team. Livvy is especially enthusiastic because her own mother works in a robotics lab and experiments with artificial intelligence. To impress her mom, Livvy and Jayden build a robot. Livvy wants to name their robot "Francine", but Jayden thinks that's too silly for their creation. Desperate to win, Livvy and Jayden "borrow" an artificial intelligence module. They soon realize they've made a terrible mistake. Francine has too much brain power. She's alive! And using this newly gained brain power to dream up a deadly contest! 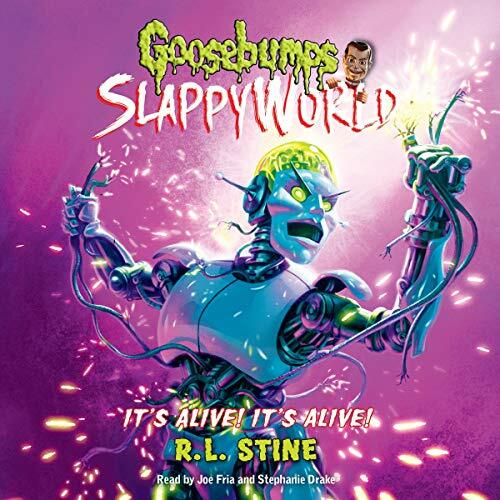 A brand new Goosebumps arc narrated by the most iconic and evil character of the series, Slappy! 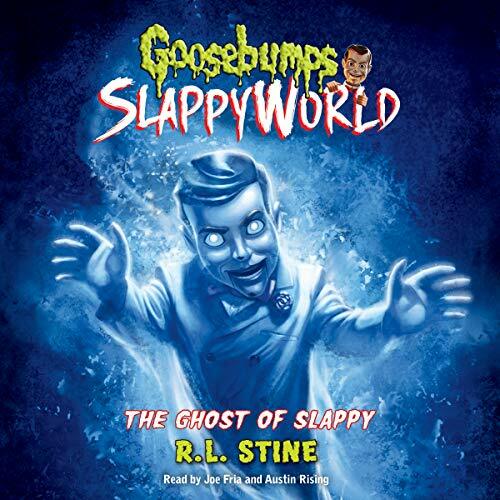 Slappy's back as a ghost! 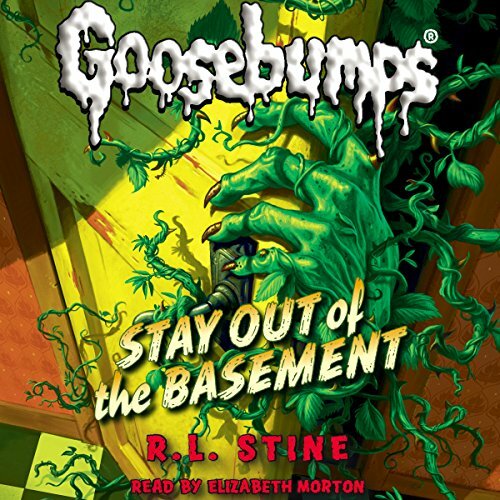 And this time, the only thing you'll play is hide-and-go-shriek! 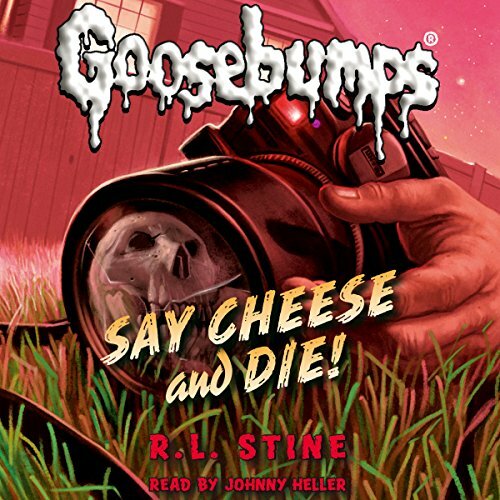 Discover the bone-chilling adventures that made Goosebumps one of the best-selling children's book series of all time. Now with all-new bonus materials! Greg thinks there is something wrong with the old camera he found. The photos keep turning out...different. When Greg takes a picture of his father's brand-new car, it's wrecked in the photo. And then his dad crashes the car. 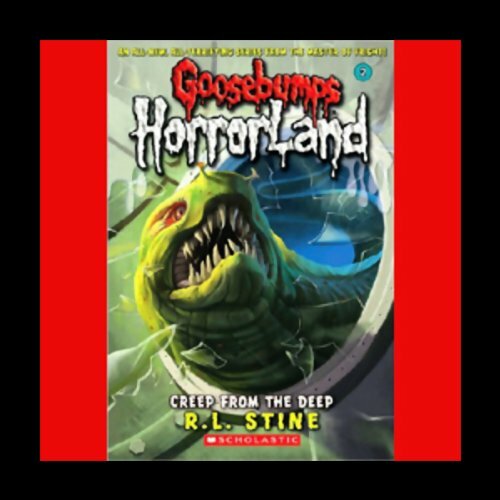 In an old-fashioned "trapped-in-a-haunted-house" story, twins Riley and Scarlett receive an interesting assignment from their teacher, Mrs. Stermon. Everyone in class needs to do a documentary video about an adventure, something exciting that they experienced. Mrs. Stermon gives them a suggestion, along with their friends Carter, Lee, Danitia, and Mia. She shows them a brochure about a scary old house on the edge of town, called Shudder Mansion. "If you six kids and your parents can stay there overnight, you'll all get A's," says the teacher. "I'll even give you extra credit." There is something weird happening in Fever Swamp. Something really horrible. 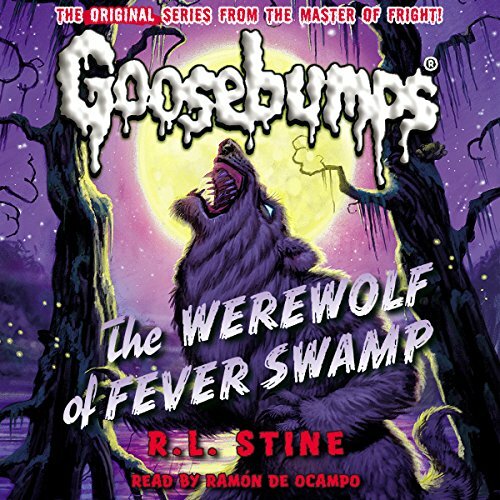 It started with the strange howling at night. Then there was the rabbit torn to shreds. Everyone thinks Grady's new dog is responsible. After all, he looks just like a wolf. And he seems a little on the wild side. But Grady knows his dog is just a regular old dog. And most dogs don't howl at the moon. Or disappear at midnight. Or change into terrifying creatures when the moon is full. Or do they? Dr. Brewer is doing a little plant testing in his basement. Nothing to worry about. Harmless, really. But Margaret and Casey Brewer are worried about their father. Especially when they...meet...some of the plants he is growing down there. Then they notice that their father is developing plantlike tendencies. In fact he is becoming distinctly weedy - and seedy. Is it just part of their father's "harmless" experiment? Or has the basement turned into another little shop of horrors? For an athlete like Matt Daniels, breakfast is the most important meal of the day. It's also the most dangerous. That's because somebody is about to pull a mean prank. The recipe is simple: Just add Monster Blood. As if Matt's problems weren't big and slimy enough, a surprise invitation will lead to even more trouble. How long can Matt survive inside a terrifying theme park? Not very long if his friends keep disappearing! Carly Beth thinks she's found the best Halloween mask ever. 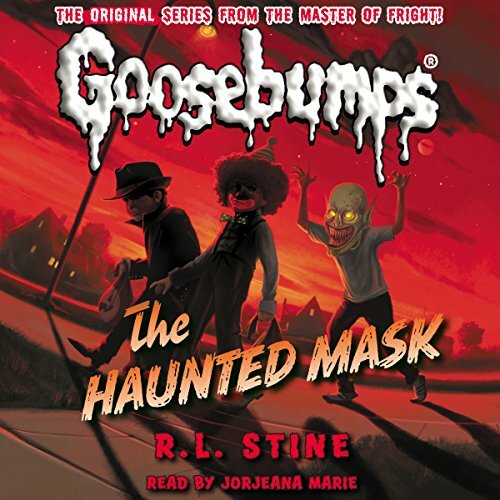 With yellow-green skin and long animal fangs, the mask terrifies the entire neighborhood. Before long, it has a surprising effect on Carly Beth, too. She tries to take it off... but it won't budge! Halloween is almost over, but fright night is just beginning. Now with all-new bonus materials! What should Carly Beth be for Halloween this year? TERRIFIED! Late at night, an ugly green mask is mysteriously calling out to her, and ugly green masks don't like to be ignored. 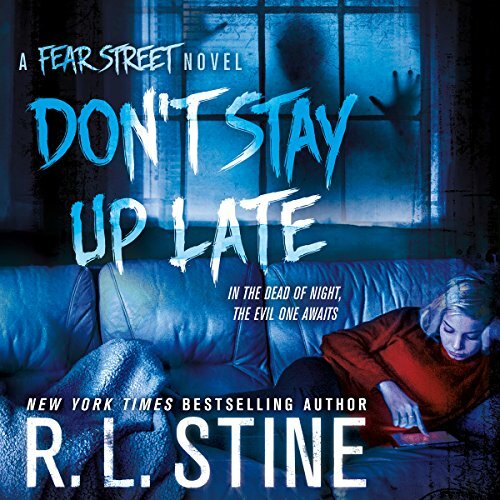 If Carly Beth survives the night, even a scary theme park might sound like a vacation. Or maybe not! 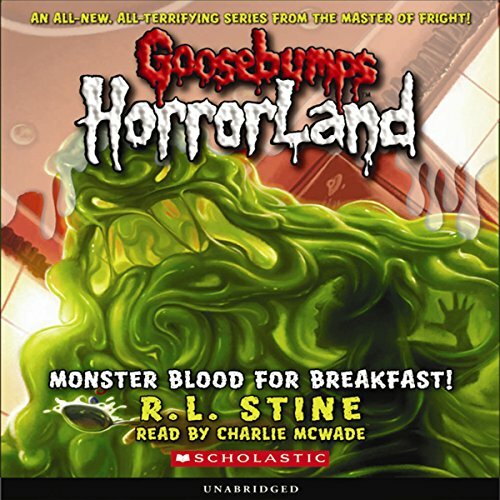 At HorrorLand, every night is Halloween. And those monster masks? They aren't masks at all. 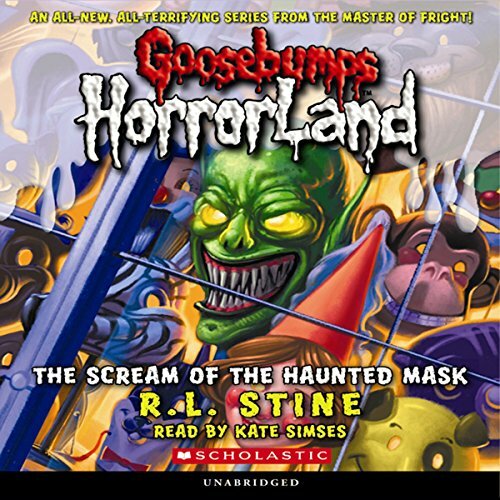 The kids who are trapped in HorrorLand thought they had reason enough to panic. That was before they reached Panic Park. It seemed like the only way to escape the mysterious villain who's playing puppet-master with their lives. 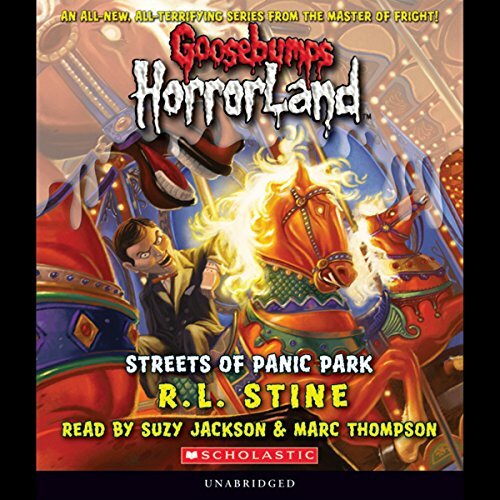 But Panic Park is a perilous place, and it makes HorrorLand seem like HappyLand! Now they must face their greatest fears - and team up with the unlikeliest allies - in this shocking conclusion to the ride of a lifetime. Billy and Sheena always expect adventure when they join their uncle, Dr. Deep, aboard his hi-tech boat. What they don't expect is a treasure hunt leading to a 200-year-old sea captain...who refuses to stay dead!